Congratulations on becoming newly qualified, a whole new world has now opened up to you and the opportunities in skydiving are endlessly exciting! 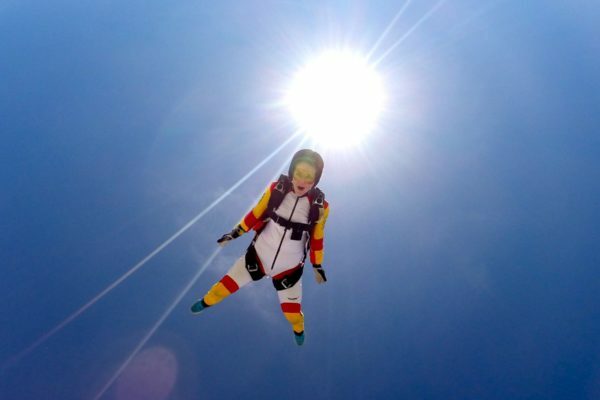 We bet you’ve been watching all the other qualified jumpers on the dropzone, maybe even some cool skydiving videos and are thinking – how do I do that? The first step is to take it steady and perfect and refine the skills you have previously learnt, for example on your AFF course you will have been taught to fall in a stable safe position but now you can learn to fly closer to others, fly towards others, fly over and under them with control and precision, working towards formation skydives in groups. It is important that you can fly in formation with other divers in a belly to earth position before looking at other disciplines. 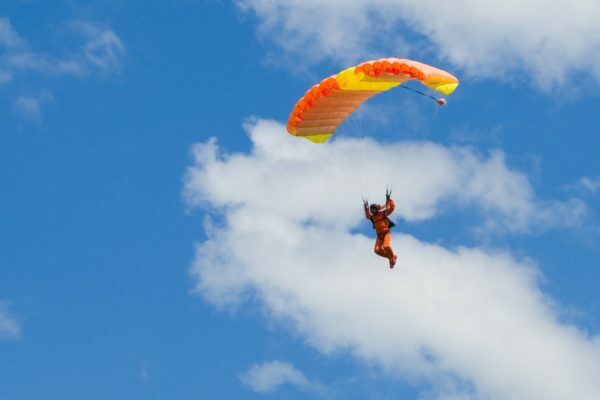 Try a few solo jumps first and enjoy your new-found freedom in the skies, but then get together with a formation skydiving (FS) instructor for some one-on-one coached jumps. Once you have the basics down you can add more jumpers to your formation to make a 4-way. This is the most common team size in competitive formation skydiving. At our UK dropzone we host the largest national 4-way formation skydiving competition in the world with over 75 teams competing annually. You can take this further to 8-ways and even up to 400-ways when you have the skills! Many skydivers forget that the most important part of the skydive is getting the landing right. Canopy piloting courses are not just for swooping, in recent years, introductory level canopy control courses have become an integral part of the sport, and it’s a good idea to register for one as soon as you have the chance. These courses give students a better grasp of how best to fly the smaller canopy you may now be using, how to land it better, and includes videos of your landings to help you work on how to improve them. Your next step is to freefly – if you want to – it’s common for skydivers to rush into freeflying without understanding that having a good solid grasp of basic FS skills is essential if you want to change orientation – any good freefly coach will support this. Go head up, back-fly, sit-fly, after a while you can even go head-down! Freefly is multi-dimensional and really good fun. 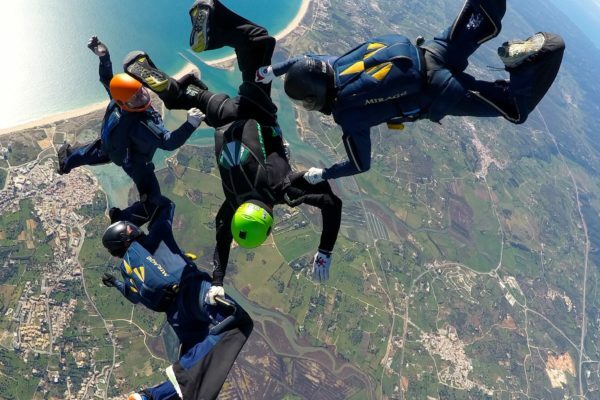 Skydive Algarve is known for its wide range of skydiving events covering all disciplines and during the main season, has an event running nearly every week! Ready to get started? Book your progression course here. Visit the amazing facilities at our DZ in Algarve!